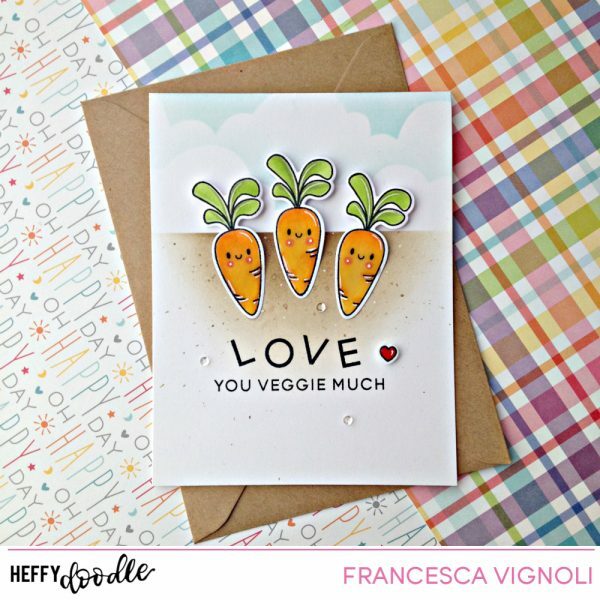 I love you veggie much with Franci! 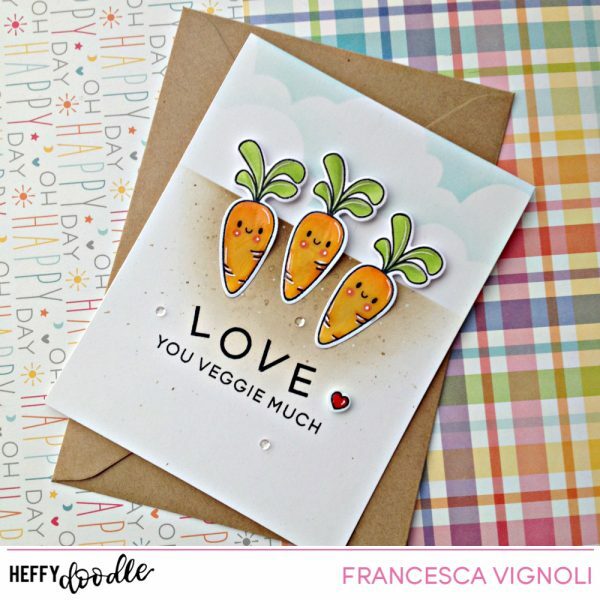 It’s Franci here with you today with a love themed card feat the new Veggie Patch set! These little carrots are soo super cute, aren’t they?! 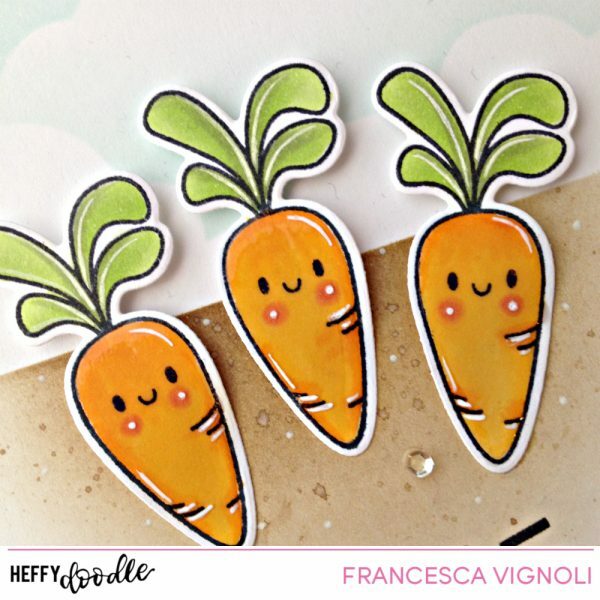 First of all I stamped, colored and die cut all the veggie cuties, coated them with Glossy Accents and let them dry completely.. You have to be patiente, I know.. but they’ll be beautiful and chubby in gloss!! Then I created my card base out of white cardstock, I masked the top/ bottom of the front with the HD Memo tape and I created my background with Distress inks. I also splattered some paint to add more texture and I let everything dry once again. Finally I glued down all the elements with a combo of liquid glue and foam tape and I added some details here and there with a white gel pen. It’s perfect over the glossy accents if you are wondering!! Instead if you draw details before, the glossy accents actually dissolvs them, I can tell by experience!! I also added some sparkling sequins and some wink of stella clear on the leaves.